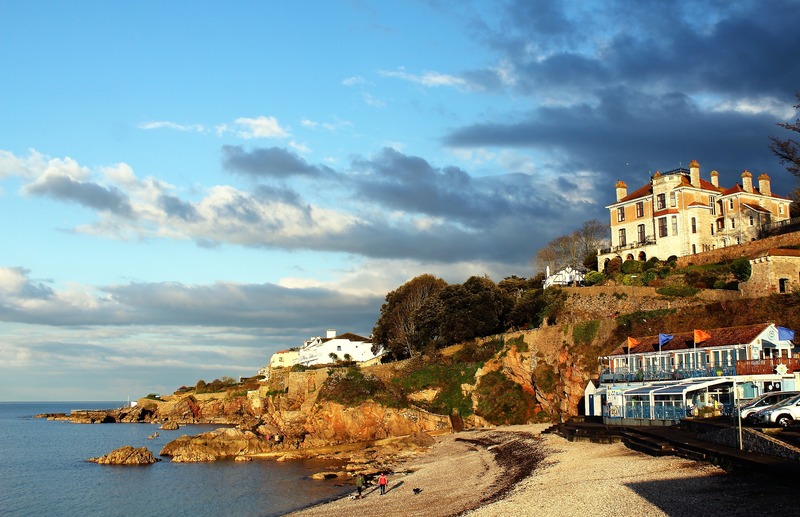 Devon is a county of England, reaching from the Bristol Channel in the north to the English Channel in the south; the City of Exeter is the county town. 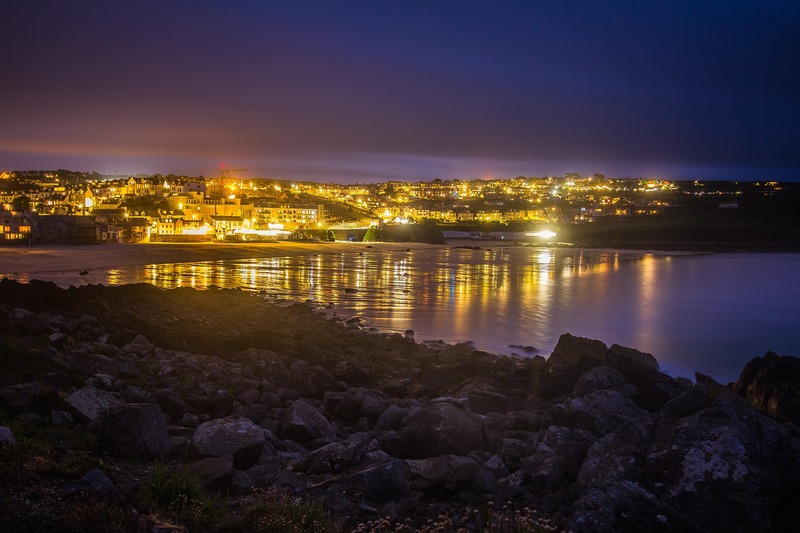 The north and south coasts of Devon each have both cliffs and sandy shores, and the county’s bays contain seaside resorts, fishing towns, and ports. The inland terrain is rural, generally hill. 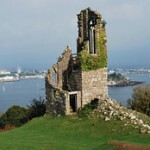 As well as agriculture, much of the economy of Devon is linked with tourism. 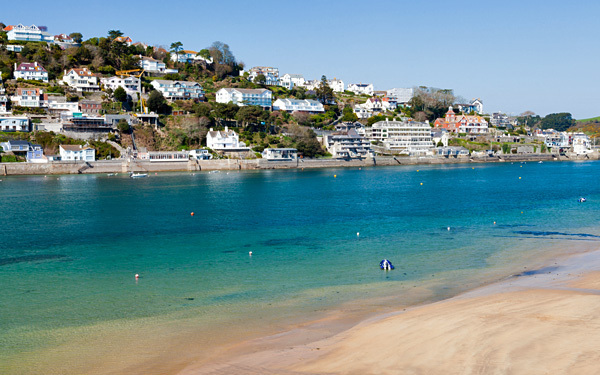 The mild climate, coastline and landscape make Devon a destination for recreation and leisure in England, with visitors particularly attracted to the Dartmoor and Exmoor national parks, to the English Riviera, the Jurassic Coast, and North Devon’s UNESCO Biosphere Reserve. Cornwall is a ceremonial county and unitary authority area located in the far west of Great Britain on a peninsula tumbling into the vast Atlantic ocean. It is bordered to the north and west by the Celtic Sea, to the south by the English Channel, and to the east by the county of Devon, over the River Tamar. The administrative centre, and only city in Cornwall, is Truro. 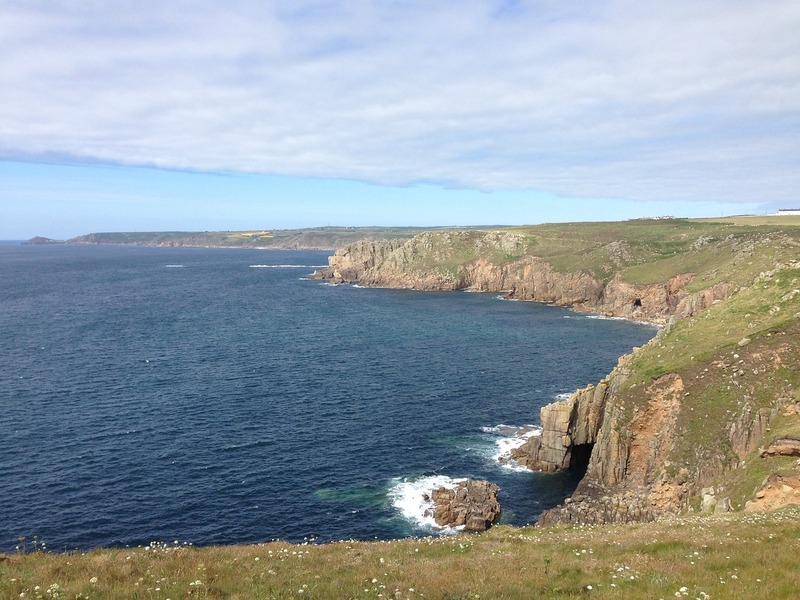 Cornwall is also the location of mainland Great Britain’s most southerly promontory, The Lizard, and one of the UK’s most westerly points, Land’s End, while a few miles off shore and even further west is an archipelago of tiny islands that make up the Isles of Scilly. 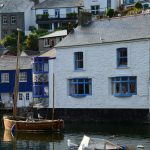 There are lots of things Cornwall is loved for; the dramatic coastline with its captivating fishing harbours; the amazing beaches and the pounding surf that provide a natural playground for a variety of watersports; and of course the Cornish pasty and cream teas. Britain’s famous Dartmoor National Park stretches between Exeter and Plymouth, offering breath-taking views for those who enjoy being close to nature. This stunning moorland covers over 954 square kilometers and is surrounded by charming villages that are full of historic and cultural interest. This area and its mysterious aura had been inspiration to many famous authors in the past. “The Hound of the Baskervilles“ by Sir Arthur Conan Doyle is largely based on Dartmoor, where the famous Sherlock Holmes and Doctor Watson try to solve their mysterious crime case. 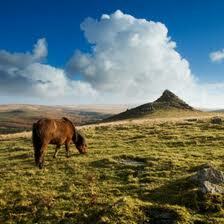 Whilst taking a stroll, do keep your eyes wide open and you might just spot the beautiful Dartmoor pony. 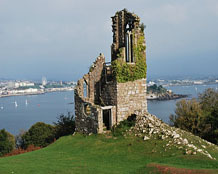 Overlooking the city from South East Cornwall – Mount Edgcumbe House is jointly owned by Cornwall & Plymouth and houses the National Camelia Collection. 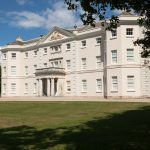 The former home of the Earls of Mount Edgcumbe, the house is set in Grade I Cornish Gardens within 865 acres Country Park on the Rame Peninsula, South East Cornwall. Access is by a passenger ferry from Stonehouse – the Cremyll ferry. Once over the short crossing of the River Tamar you will find a great waterside pub, orangery cafe and a wild deer park. Early 18th-century house, which today is in the ownership of the National Trust. Situated just a stone throw away from Plymouth, between the villages of Torpoint and Antony, this is truly one of local hidden gems. This Grade I listed building features breath taking gardens landscaped by Georgian garden designer Humphry Repton. 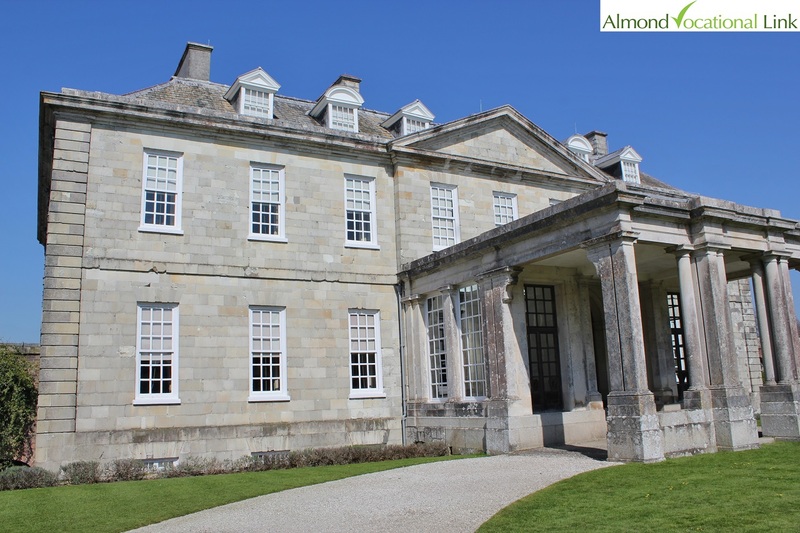 In 2008 Antony House was one of the locations used in Disney film production of Alice in Wonderland, directed by Tim Burton. 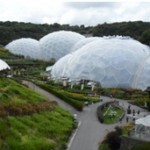 The Eden project is a visitor attraction in Cornwall. There is a big garden with Rainforest and Mediterranean Biomes. Inside the artificial biomes are plants that are collected from all around the world. 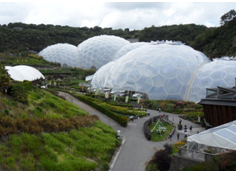 At the bottom of the pit are two covered biomes: Tropical Biome – it is used for tropical plants, such as fruiting banana trees, coffee, rubber and giant bamboo, and is kept at a tropical temperature and moisture level. Mediterranean Biome – it houses familiar warm temperature and arid plants such as tea, lavender, hops, hemp and various sculptures. 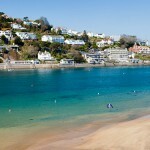 The south coast of Devon is collectively known and often referred to as the English Riviera. 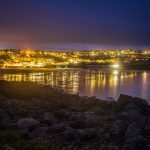 It offers stunning coastal locations with beautiful beaches, many of which have obtained a blue flag award. 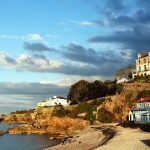 The particularly mild climate of the area means that many exotic plants can be grown here and it is also one of Britain’s most favourite holiday destinations. The tourism industry truly flourishes here with many towns increasing in population significantly during the high season. 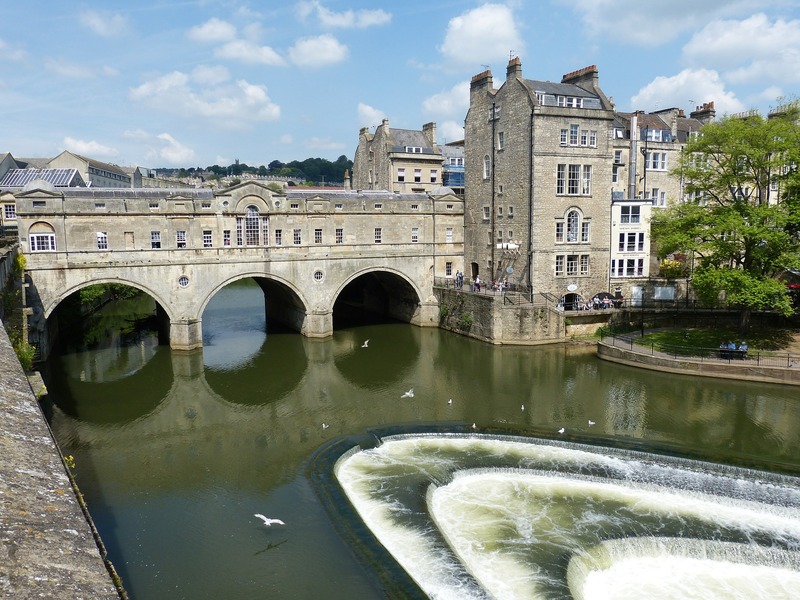 Bath is a city situated in the county of Somerset and it’s known for its Roman-built baths. The old name of the city is Aquae Sulis (“the waters of Sulis”), it was given when it became a spa. Bath was once the home of the famous writer Jane Austen in the early 19th century and in 1987 the city became a World Heritage Site. There are many Roman archaeological sites throughout the central area of the city and Georgian architecture, crafted from Bath stone, like the Royal Crescent, the Circus, the Pump Room and the Assembly Rooms. 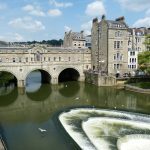 Every year lots of tourists come to Bath attracted by its theatres, museums, and other cultural and sporting venues making Bath one of the most popular tourist attractions in the UK. Boscastle is a village and fishing port on the North coast of Cornwall and it is one of Cornwall’s most romantic places. The name of the village comes from Botreaux Castle, a 12th-century fortress, of which few remains survived. 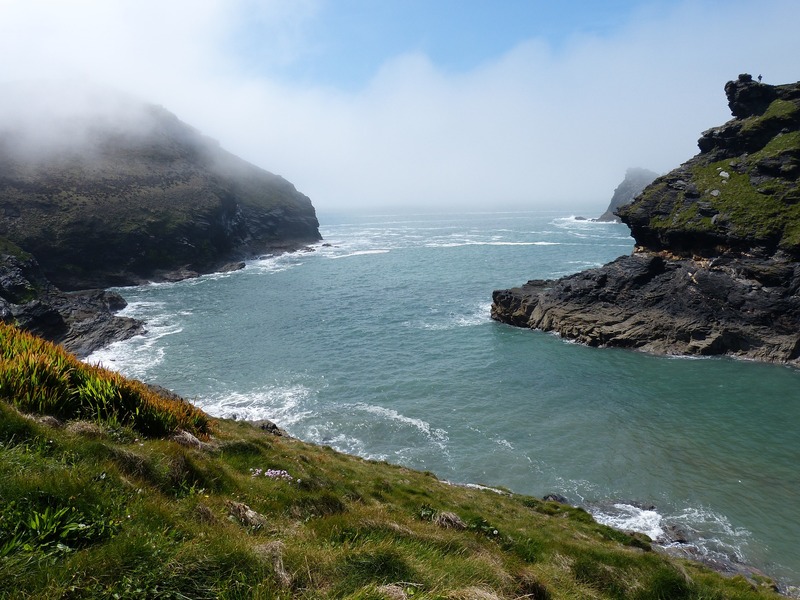 The Rector of Boscastle is responsible for seven churches in the district: Forrabury (St Symphorian), Minster (St Merthiana), St Juliot, Lesnewth (St Michael and All Angels), Trevalga (St Petroc), Otterham (St Denis) and Davidstow (St David). Charlestown is a village and port on the south coast of Cornwall and it is an amazingly unspoiled example of a late Georgian working port. It was constructed between 1791 and 1801 by Charles Rashleigh, entrepreneur and member of the local landowning family, in response to the growth of the local mining industry. Originally built to export copper and import coal, it was soon being used for the export of China Clay. It is from its creator that the port gets its name. The port has remained relatively unchanged. Charlestown is a popular location for film and television locations. Exeter is a cathedral city in Devon and situated only an hour away from Plymouth and by the River Exe. 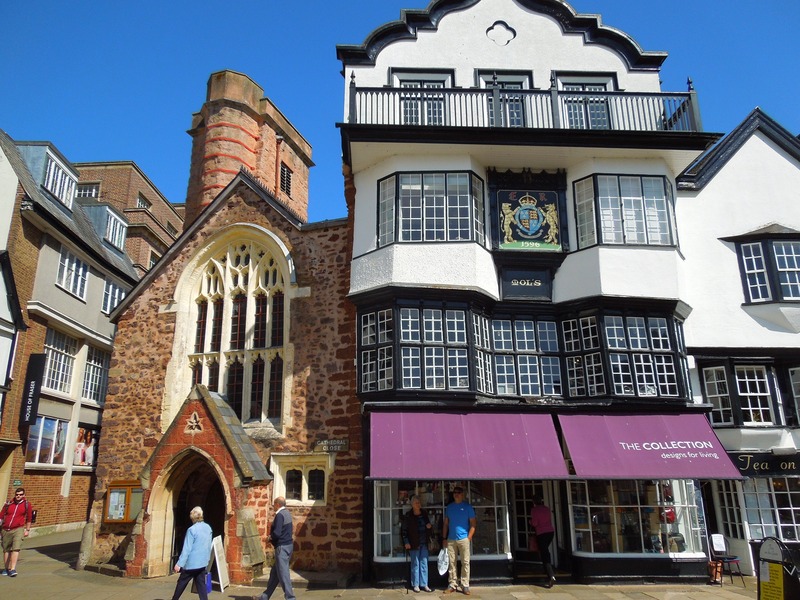 Exeter was the most south-westerly Roman fortified settlement in Britain and became a religious centre during the Middle Ages and into the Tudor times. Exeter Cathedral, founded in the mid 11th century, became Anglican during the 16th-century English Reformation. During the late 19th century, the city became an affluent centre for the wool trade. After the Second World War, much of the city centre was rebuilt and is now considered a centre for modern business and tourism in Devon and Cornwall. 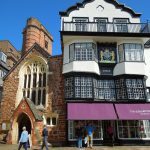 If you are planning a trip, a holiday, or a short break, Exeter has something to offer people of all ages to enjoy all year round. 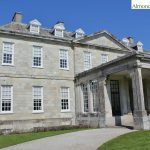 Saltram House is a George II era mansion located in Plympton, Plymouth. The house that can be seen today is the work of Robert Adam, who altered the original Tudor house on two occasions. Saltram House is one of Britain’s best preserved examples of an early Georgian house because it has all the original decor, plasterwork and furnishings. 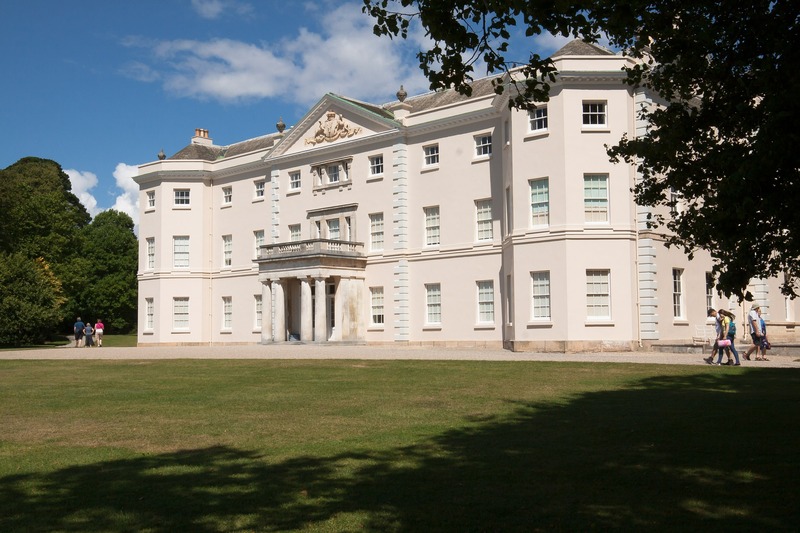 Saltram House was used as one of several local settings for the 1995 film Sense and Sensibility. It is reportedly haunted by the ghost of a maid who was murdered there and a child. St Ives is a seaside town, civil parish and port in Cornwall. In former time, the city depended only on fishing but its decline caused a shift in commercial emphasis, so the town is now primarily a popular holiday resort. 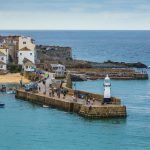 In 2007 St Ives was named the best of seaside town of the year by Guardian readers and in May 2013 Queen Elizabeth II made her first visit to the town. 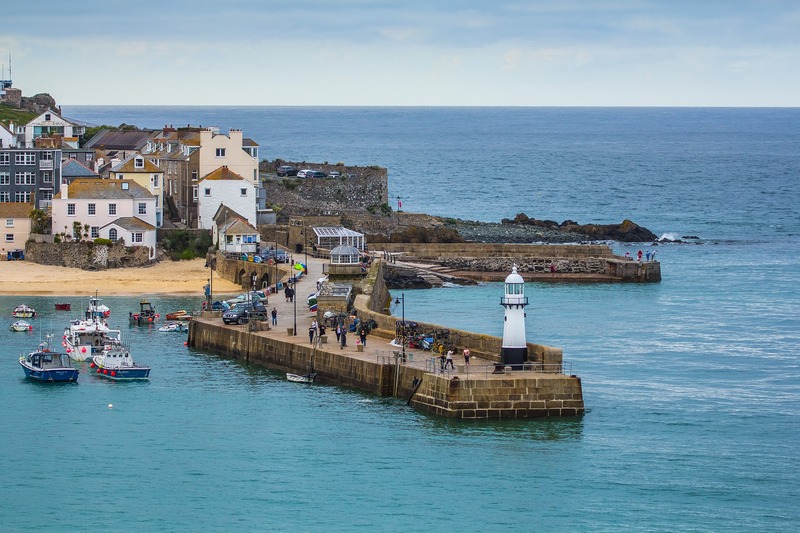 Today St Ives is easy to reach and there’s a wealth of ancient culture to be explored: the stones, the wells and ceremonies such as Model Yacht Sailing on Good Friday on Consols Pond and the Midsummer Eve Bonfire. Land’s End is the legendary Cornish destination that has inspired people since the Ancient Greek times when it was referred to as “Belerion” – place of the Sun. Land’s End is a headland and holiday complex in western Cornwall, England. 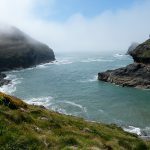 It is the most westerly point of mainland Cornwall and England. Land’s End is either the start or finishing point, of “end to end” John o’Groats in Scotland. One of the earliest was by Carlisle who left Land’s End on 23 September 1879, went to John O’Groats House and arrived back at Land’s End on 15 December; taking 72 days (exclusive of Sundays); covering 3,899 miles (6,275 km). To prove his journey, he kept a logbook which was stamped at any Post Office he passed. 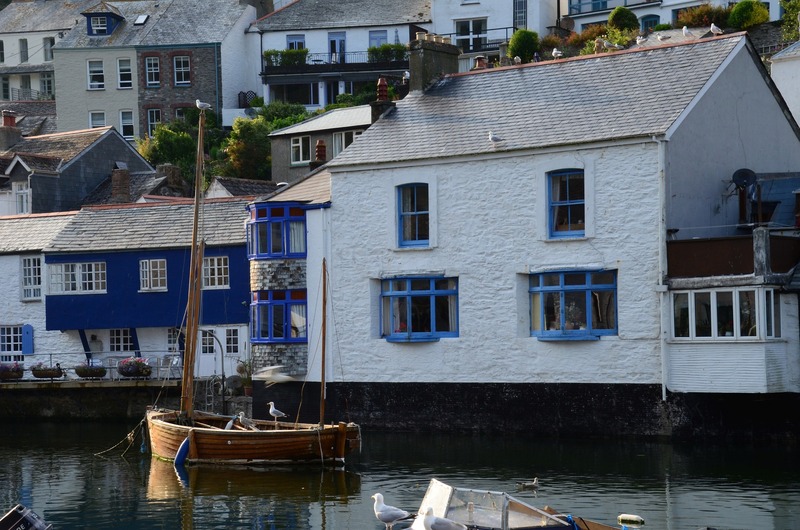 Polperro is a village and fishing harbour on the south-east Cornwall coast in the south west of England. 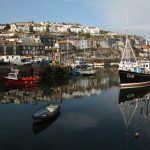 It is a noted tourist destination, particularly in the summer months, for its idyllic appearance with tightly-packed ancient fishermen’s houses which survive almost untouched, its quaint harbour and attractive coastline. Visitors are no longer permitted to drive cars into the village, having to leave them in the main car park at Crumplehorn to the north of the village. 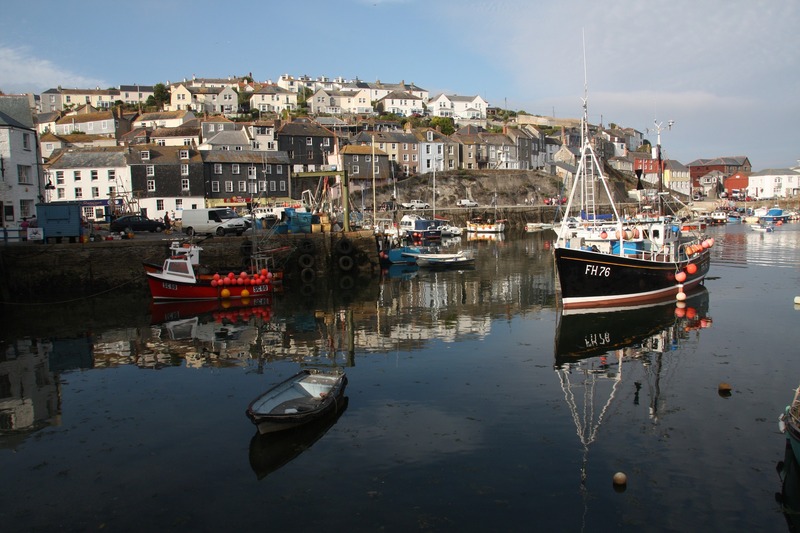 Attractions of Polperro include the South West Coast Path that offers day walks along the local scenic coastline. The path passes three large beaches in route to Fowey: Lansallos Beach, Lantivit Bay and Lantic Bay. 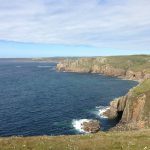 Guided walks are available in the village, and boat trips can be taken from the harbour to view the coastline that can offer sightings of dolphins and seals.